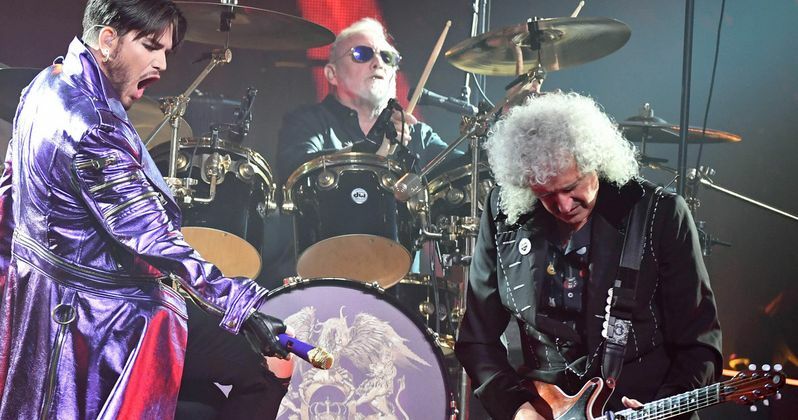 Queen Turned Down Offer to Open Oscars with Bohemian Rhapsody Tribute? Variety reports that the legendary band Queen, featured in their Oscar-nominated biopic Bohemian Rhapsody, has supposedly turned down an offer to be the opening act of the Oscars this year. This is just one of many issues plaguing the 2019 Academy Awards, with most recently their former host Kevin Hart dropping out due to controversy over his past anti-gay tweets and remarks. The Academy is looking to go without a main host this year, and instead having a plethora of big name stars introducing the various awards and segments. But it will be interesting to see how they handle this unusual type of set-up, especially now with Queen's reported rejection there's only becoming more and more doubt if the Oscars can actually pull this one off. In terms of finding A-listers to appear, the Academy's producers are hoping to string in some stars from the upcoming Avengers: Endgame, but truthfully there's still a number of other big names that could also make an appearance. One mark in the Oscar's favor this year is that after receiving much heat over not featuring live performances for most of the Best Original Song nominees, they finally conceded to have all five appear during the broadcast. Now it's hard to say if that addition will help to heal some of the recent animosity towards the Academy, but at least it's a move in the right direction. It is a shame though that Queen, one of the most incredible performing bands in history, wont be appearing this year. Even though there is not yet an official comment by Queen about the rejection, it's almost assuredly due to the new sexual allegations against Bohemian Rhapsody director Bryan Singer. Not only that, Queen guitarist Brian May had originally defended Singer, but he has since come back on those comments as the allegations became increasingly extreme. So despite the band turning down the exciting chance of opening the Oscars, it does make plenty of sense. There will still be, however, quite a bit of buzz surrounding Queen's Bohemian Rhapsody seeing that it's nominated for five Academy Awards, including Best Picture and Best Actor for Rami Malek. The film also became the highest-grossing musical biopic of all time, as well as the seventh highest-grossing film of 2018, by garnering over $819 million worldwide. Bohemian Rhapsody also did quite well at the Golden Globes last year by winning Best Motion Picture - Drama and Best Performance in a Motion Picture - Drama for Rami Malek. So despite the heated (and very unfortunate) controversy surrounding what would normally be a very beloved film, Bohemian Rhapsody is still making its mark for better or worse. With Queen not performing it will be interesting to see if the The Academy Awards finds a substitute to be the opening act, or if they just scrub the whole idea. By already having all of the Best Original Song nominees performing this year, there's definitely not going to be any shortage of music. If that ends up being a good or a bad thing, well, we will just have to wait and see. But with the Oscars having a very unconventional list of Best Picture nominees this year, as well as plenty of problems behind-the-scenes, it will undoubtedly be an interesting show to watch. The 91st Academy Awards airs on February 24th, 2019. This news comes from Variety.